It is a familiar dilemma for developers, bloggers and business owners, to choose the right web hosting services. With so many choices and types available, deciding the right web host is really tricky! If you select the right and managed solutions, they will help you develop a happy hosting relationship with your WordPress website. But making a mistake can cost a website to lack in performance. Select the ideal hosting for your WordPress website and ensure a better chance of being seen. 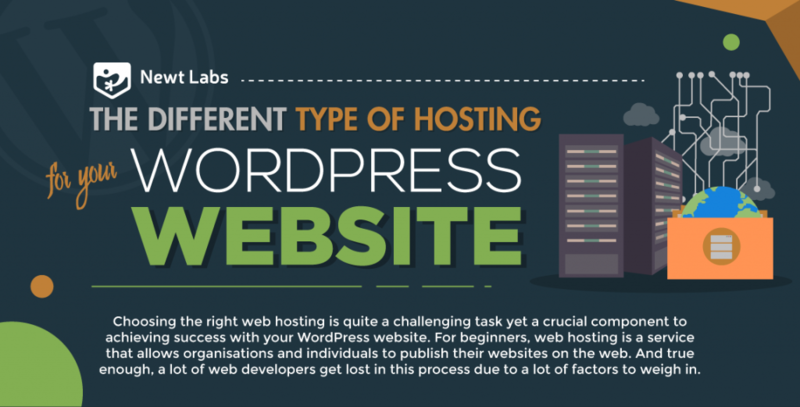 The latest insightful infographic, posted by Newt Labs, shares useful details which you can use to select the ideal web host.